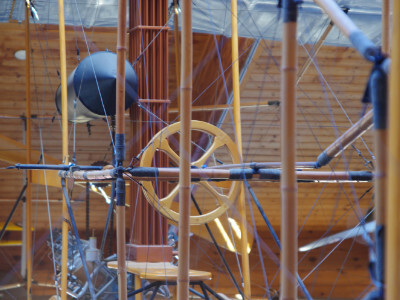 The original Silver Dart was built by the Aerial Experiment Association in Hammondsport, New York. 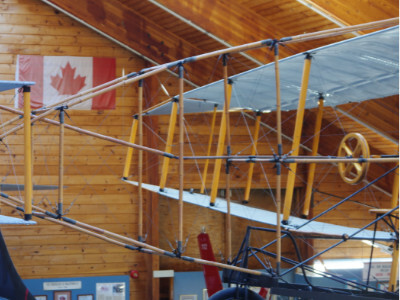 After being relocated to Baddeck, Nova Scotia it made the first flight in the British Commonwealth in 1909. 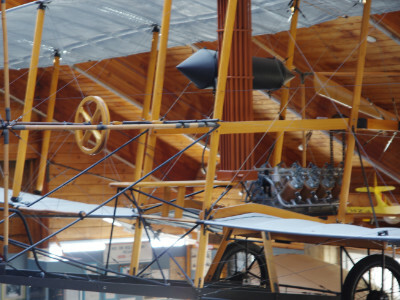 The Museum’s replica was built by Gordon MacRae of Baddeck, Nova Scotia to help celebrate the 75th anniversary of the 1909 flight. 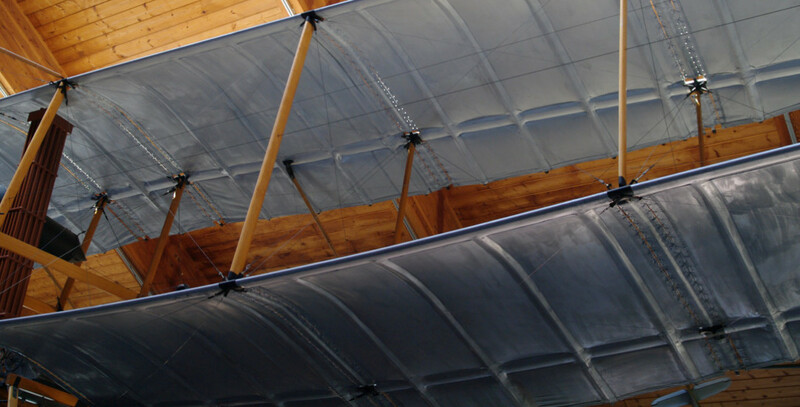 The Museum was offered the replica for display in 1993 and it is now displayed directly above our CF-104 Straighter as this helps demonstrate the tremendous advances that have been made in aviation in a timespan of less than just 50 years.